CakePHP Captcha plugin by me is one of the most used and trusted CakePHP captcha support since 2009. I have maintained CakePHP Captcha support throughout these years and am still committed to maintain it as long others and I found it useful for the users of CakePHP framework. The latest CakePHP Captcha plugin supports image captcha, simple math problems (add, subtract, product) and Google Recaptcha (new) and makes it easy for the site owners and developers to maintain and make website spam free and secured. 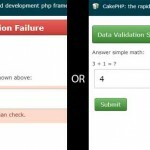 CakePHP Captcha Plugin supports latest stable version of CakePHP i.e. CakePHP 3.6, while legacy version supports both CakePHP 1.x and 2.x versions. CakePHP 3.x plugin support is here. CakePHP 1.x, 2.x support bundled as a component + behavior + helper along with examples can be download here. 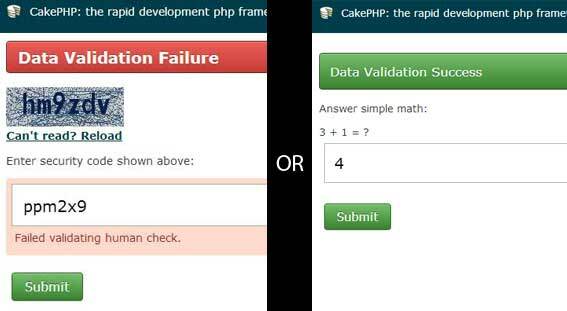 CakePHP Captcha plugin demo can be found here. Please check plugin’s Github page for information on implementation of CakePHP Captcha Plugin here. Email or comment for any queries or support request.